Growing up without a television in her household, Alyssa Okimoto spent a great deal of time at the local library, which fostered her life-long love for books and literature. Prior to joining the Academy, Okimoto served as a Librarian at Punahou School, where she is an alumna and also participated in track and field. 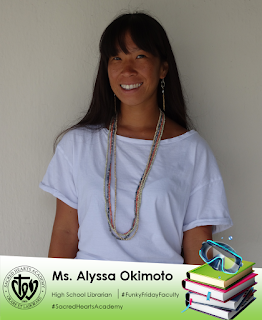 Her work experience includes stints at the Hawai’i State and various other Public Libraries around the Island. Okimoto holds an undergraduate degree in History from the University of British Columbia and a Master’s Degree in Library and Information Science from the University of Hawai’i at Manoa.